Finally got the phone calls and texting to work. I am using the free service for my son but if the wifi is turned off on his phone, the data does not work. I have restarted the phone many times. 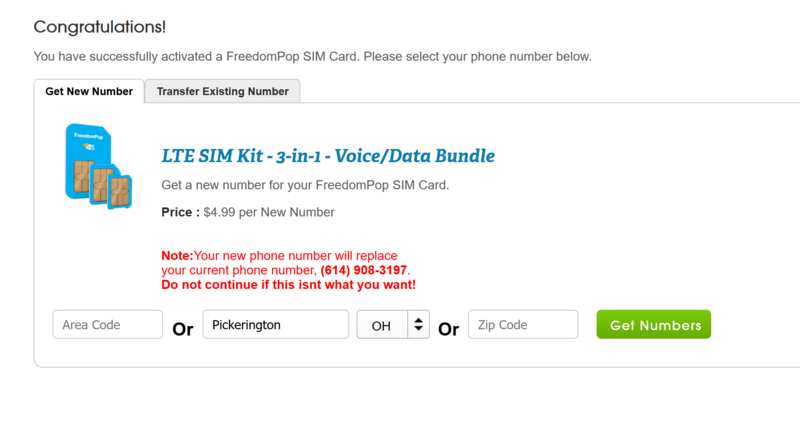 I don't have any other devices with freedompop chips to restart. Can you please confirm if you are able to see the correct phone numbers in the correct devices now? If the SIM is not activated, how am I able to make and receive calls as well as texts? 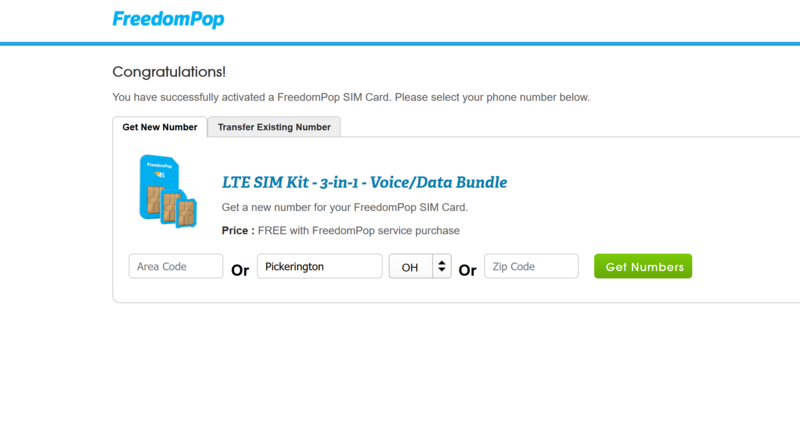 You have successfully activated a FreedomPop SIM Card. Please select your phone number below. I have already been through this process two times in the past and have to pick a new phone number each time. After picking a new number, the data still does not work. Now it says I have a new phone number - when I never went to the next step to get one. It should not be this complicated! I've gone through these same steps 3 times since receiving the new sim card a few months ago. All three times with a new phone number and the same results.....only works on wifi. My son does not deal well with change based on some challenges he lives with. I now have a new active account with a new phone number instead of an active account on the existing number. How do I merge this into one, while maintaining the original phone number ending in 1989? Unfortunately, we are unable to merge two accounts however we can check out both devices to see if we can perform either a device swap or a phone number swap. Can you please confirm if you want phone number 1989 to be moved to the new SIM with ICCID 3059300? We have successfully swapped the phone numbers between the accounts requested. Please turn the devices off and back on and let us know if they work properly. We're glad to hear that your devices are working properly. Have a great week!